M1776 Adams, Jane Cast the First Stone Macmillan 1996 First UK printing Fine minus with light page edge yellowing and slight page waving in a Fine jacket. An unread copy signed by Adams on the title page. M1777 Adams, Jane The Greenway Macmillan 1995 First UK printing Fine minus book with slight touch of dusting top edges and slight page waving in A Fine jacket. 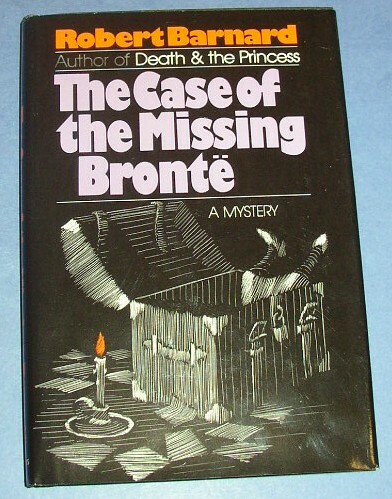 An unread copy signed by Adams on the title page; her first mystery . Baker, John White Skin Man Orion (UK) 2003 First UK edition 1st printing, F/F unread new copy signed by author on title page and dated 19/2/04. M1778 Barnard, Robert Blood Brotherhood Walker 1977 Very Good to Very Good plus book and jacket. Book has light edge wear and is a very nice, tight and square copy but the contents page is missing and there is mild starting at the spine where that page was; the white jacket has light edge wear with rubbing and a bit of soiling, slight sunning on spine, crease along bottom of back flap with three closed tears that have been repaired with tape on inside of jacket. Signed by Barnard on the FFEP. This copy is also nicer than it might sound - digitals available. M1780 Barnard, Robert Death of a Literary Widow Scribners 1980 Very Good to Near Fine book with light edge wear, small wrinkle and tear at top of page 109 visible from top; jacket is very good with a price clip, sun fade on spine, light rubbing, soiling and some yellowing on white flaps and back panel small chips at corners of spine folds with half inch closed tear top, front of spine. Signed by Barnard on the title page. M1782 Barnard, Robert Death of an Old Goat Walker 1977 Very Good to Very Good plus book and jacket. Book has edge wear and some light soiling page edges, lightly rolled at bottom of spine, one page gathering slightly out of line with others; jacket is lightly sunned on spine and bottom quarter inch of back flap, has rubbing and some light scratches on panels, edge and corner wear with some loss of color edges, corners and folds, slight loss of material at bottom of flap folds. 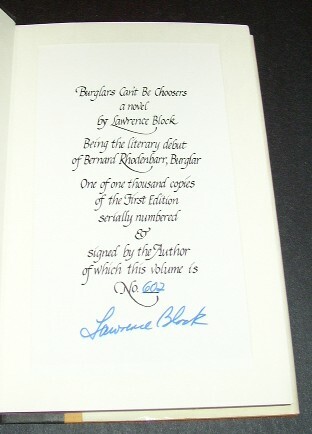 Barnard's first mystery signed by the author on the FFEP. Nicer copy than it might sound - digitals available. Scribners 1983 Near Fine book and jacket, book has light bumping top of spine and a light push at bottom of spine, jacket has light edge wear, a dog ear crease bottom back flap and three light incisions on jacket front panel that do not break mylar and can only be seen when held to light. 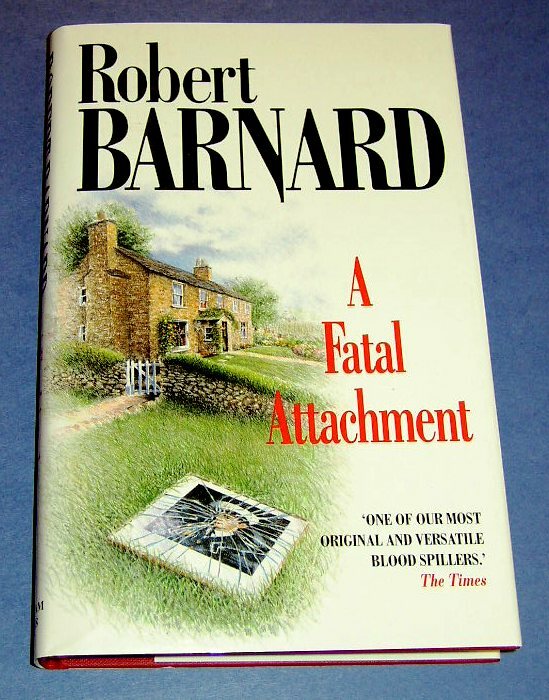 A beautiful, bright, tight and square unread copy that is signed by Barnard on the title page . M56 Barre, Richard (Coben, Harlan) Wind on the River Capra Press 2004 First lettered limited edition, 1st printing of Barre's new, third book in his on-going holiday series, Fine unread, new book in pictorial boards housed in slipcase, this is copy # S of 26 copies signed by Barre and Harlan Coben (who provides the Forward)on the limitation page. M59 Barre, Richard (George Pelecanos, Laura Lippman, Steve Hamilton) Echo Bay Capra 2004 Limited, numbered first edition 1st printing F/F signed by author Barre and Pelecanos, Lippman, and Hamilton (all of whom provided dust jacket blurbs) on the limitation page, a new and unread copy. This is copy number 7 of 50 copies. 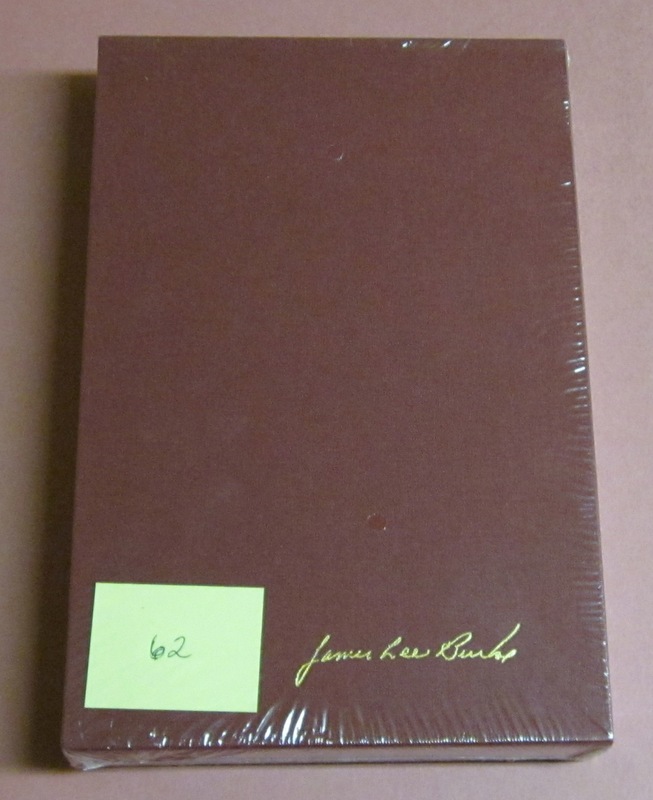 The numbered copies were not slipcased by publisher. Capra Press 2003 First limited edition 1st printing, number 12 of 50 copies of Barre's second book in on-going holiday series, Fine book in pictorial boards, signed by Barre and Crais on the limitation page. Intro by Robert Crais. No dust jacket, no slipcase as issued. M68 Barrett, Susan Fixing Shadows Review 2005 First UK edition 1st printing, F/F new and unread copy signed by author on the title page. 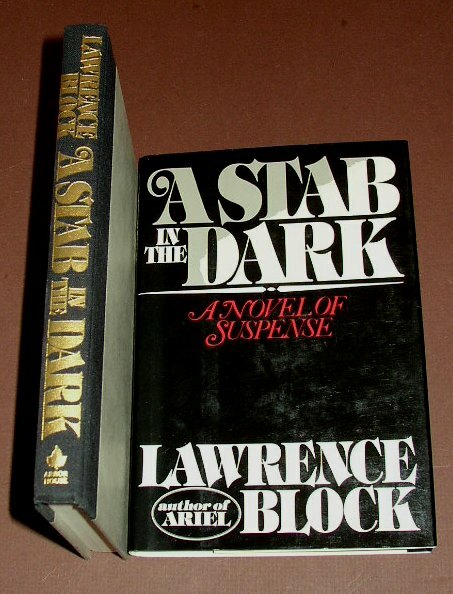 Arbor House 1981 First edition 1st printing, Near Fine book with a light binding rub on front board and slight dusting and one small smudge top page edges in a Very Good plus to Near Fine jacket that has light edge wear, yellowing on edges of white flaps and rubbing of the black, front and back panels. 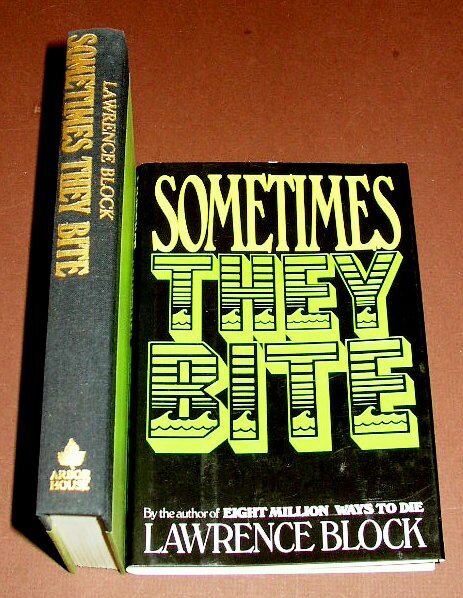 A very tight and apparently unread copy that is inscribed "For Mike - Best," and signed "Larry Block" on the first front end paper. First edition, 1st printing, Very Good+ book with light edge wear, starting at title page, spine lightly pushed top and bottom and very slight bump top front corner, in Very Good dust jacket that is price clipped, edge and corner wear with couple spots of very slight loss, several small creases along edges, mild sun fade on spine and some over write incisions front cover that do not penetrate the mylar, a nice tight copy of Block classic signed by Block on the title page. Arbor House 1983 First edition 1st printing, Fine minus book with a couple of small light spots and slight rubs on front page edges , in a very bright Near Fine jacket with light edge wear, small crease and tiny chip at top edge of back flap, touch of rubbing to the black front panel and quarter inch closed tear bottom front flap crease with a tiny spot of lost color. A very nice and tight, apparently unread copy, signed by Block on the title page. 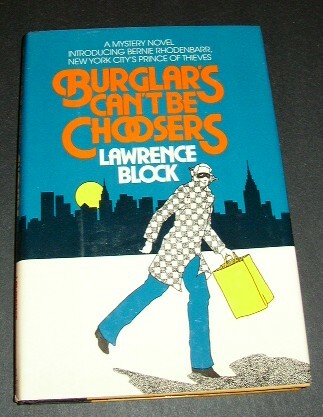 M1761 Block Lawrence The Burglar in the Library No Exit Press 1997 First UK edition 1st printing, first state with "settle" instead of "settled" in first sentence, Very Good plus book with light corner and edge bumps and edge wear top and bottom of spine, a moderate bump and abrasion top center of back board, in a near fine jacket with light edge wear and corner bumps and a light crease along top edge. 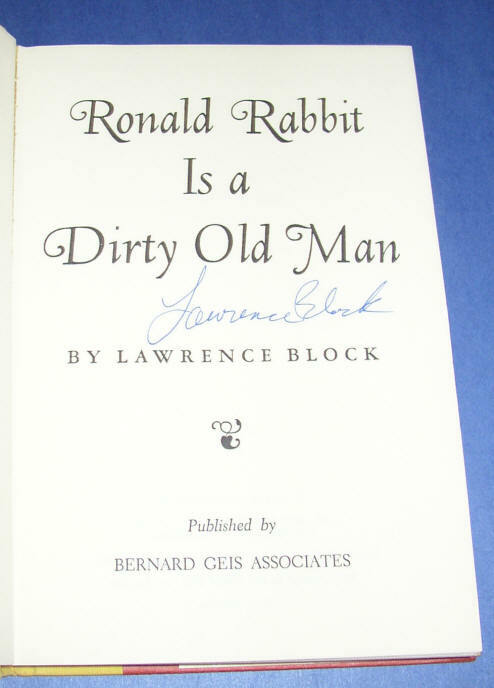 An unread copy signed by Block on the title page. 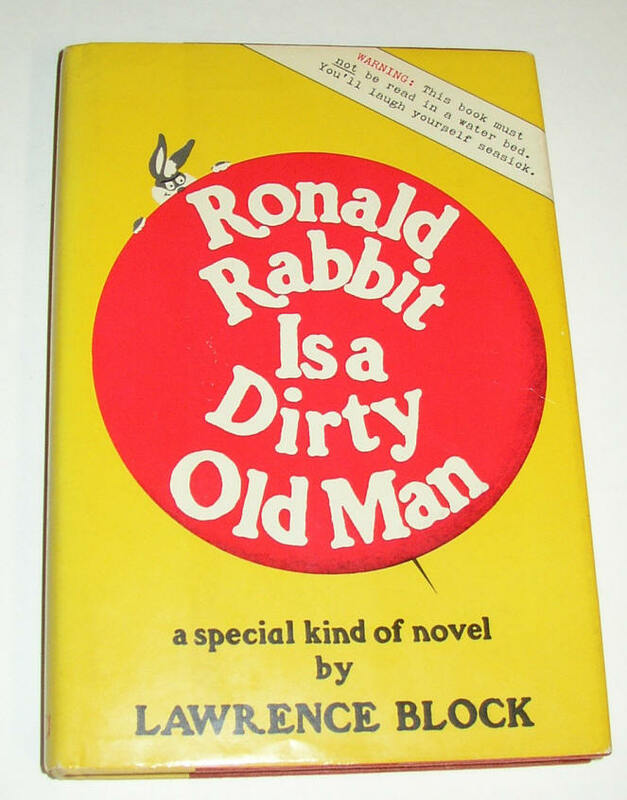 M1755 Block, Lawrence The Thief Who Couldn't Sleep Armchair Detective Library 1994 First limited edition, Fine book in Fine slipcase, with no dust jacket as issued. This is copy "L" of 26 lettered copies that are signed and lettered by Block on the limitation page. Slipcase a touch small and book fits into it quite tightly. 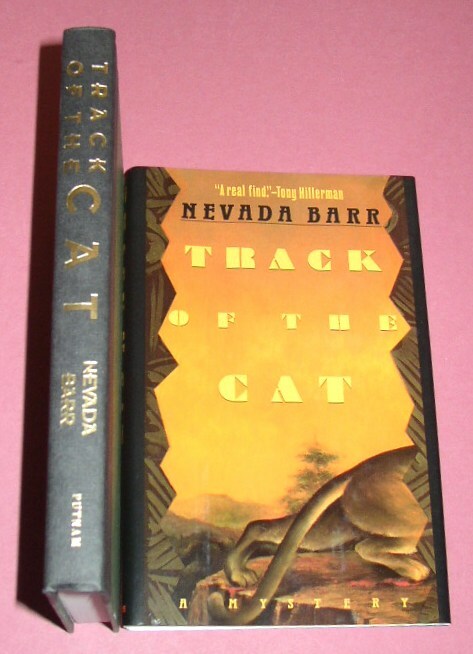 Macmillan (UK) 2003 First UK edition 1st printing F/F unread new copy, signed, with doodle, by author on title page.